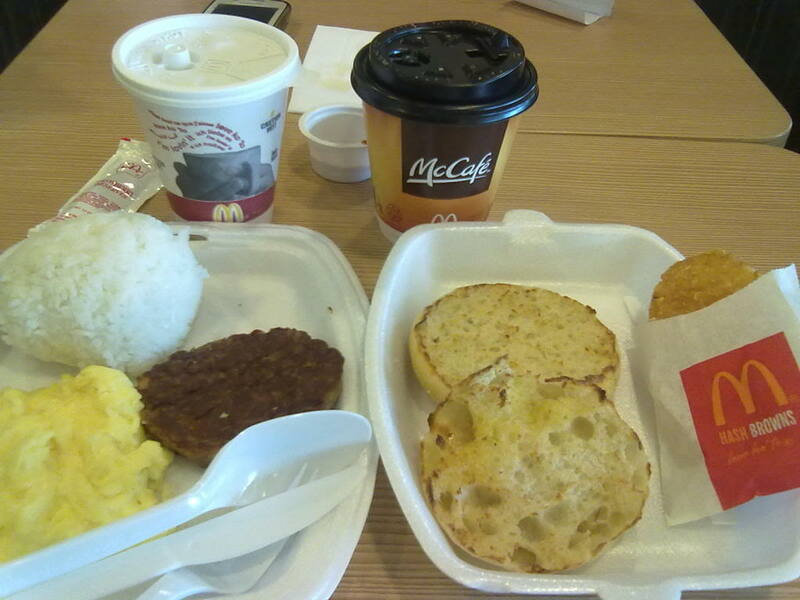 Is there anyone who has not taken breakfast at McDonalds at least once? I’m sure I did countless times. How about you? If you did, you might find the top 7 reasons below very familiar. No one wants to travel nonstop. Even public utility buses have stop over time and cargo trucks take a break. A travel stop accompanied by a breakfast meal is a good pair for travelers. Not all McDonald’s outlets are open 24/7 but for those that are serving all day and all night, breakfast can be served early; thus, providing folks assigned for night shifts one meal equivalent for dinner, breakfast, and even lunch. I know I was one of those call center peeps who doesn’t get to eat dinner, but takes breakfast, and sleep with no meal during lunch hours. Those who wake up late or work at offices opening late can expect breakfast served as late as 11 AM. But that’s too close to lunch time, hitting two birds err… meals at the same time. Running late for work? Most people can still manage to spring towards the office with a cup of coffee in hand. Are you one of those who dine at McDonalds in the morning to read the newspaper for free? You’re probably even guilty of bringing home a copy when it’s supposed to be read only instead the restaurant. Many prefer establishments with wireless Internet connection these days. It offers opportune moments to eat, take photos, and upload them through social network sites like Facebook, Twitter, and even Instagram. You can also check in via Foursquare and other apps. Did you notice that many wear sports apparel like jogging shorts or pants paired with running shoes at McDonalds in the morning? Some may just have concluded a jogging or gym session prior to breakfast. These are just some of the reasons why people drop by for breakfast at McDonalds. How about you, what brings you there in the morning?